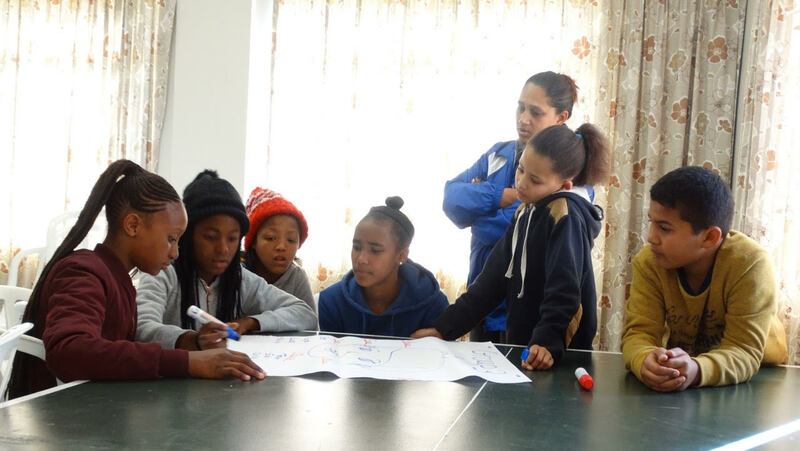 elementary and secondary schools in Cape Town, providing self-protection training, and raising awareness at school assemblies about gender-based violence, sexual assault, and prevention. A new dynamic Executive Director, Randall Maarman, a young South African who has an Organizational Development degree from the Netherlands, has helped IPM move forward on their action plan. The long-term goal is to advocate with the Dept of Education to integrate this training into the LifeSkills curriculum – a move that will make the methodology available in all schools. In October I Protect Me held a successful 3-day peer training session for school children in a new area, the Eastern Cape. “For the first time in my life, I have learned that my opinion counts," said one of the participants. Randall Maarman reports: “We had a very productive conversation with the Department of Basic Education in the Nelson Mandela Metropolitan (NMM – formerly Port Elizabeth) about safer schools and self-protection. It is this organization, Susila Dharma International, that made it possible for our prevention workers to teach self-protection in the schools and to vulnerable people. We would just like to say, SDIA your support is making a difference in many lives in South Africa!" As one of the SDIA members who support I Protect Me, in 2019 SD Canada is providing a grant of $4000 to help Randall and his team create the impact that will make this project sustainable!